Our terms should be read in conjunction with the law of England and Wales and in particular, law of contract. The wording contained herein represents an offer to treat. Your acceptance of our terms of business is performed when successful payment is made by a third party ‘customer’ in favour of Love Your Postcode Limited, howsoever made. No liability is accepted or should be seen as being implied in so far as third parties employed by Love Your Postcode Limited and their actions or in actions. Nor should any liability be assumed in so far as Love Your Postcode supplied goods such as for sale boards being used inappropriately by third parties and causing damage to property. No liability is accepted by Love Your Postcode in any respect whatsoever where circumstances beyond its control may lead to any loss or inconvenience. Our ’21 Day Performance Contract’ with an offer promise is all about speed and efficiency. Zero % commission fees apply to the seller. The advert will run for 21 days and can be upgraded to a traditional or performance package at any time. There is nothing to pay upfront. We cover you for photography, floor plans, Energy Performance Certificate, featured & premium Rightmove marketing, newspaper marketing and facilitated block viewings. This contract has a performance related aspect. Our ‘Performance Contract’ is our most selected product. Created to out perform the market on the final value. We request all sellers to get at least three independent valuations and we will beat the combined average value. This product ensures that you get the value you require and the estate agents work for their fee. The advert will run for 30 days and can be upgraded to a traditional package at any time. There is nothing to pay upfront. We cover you for photography, floor plans, Energy Performance Certificate, featured & premium Rightmove marketing, newspaper marketing and facilitated block viewings. Our ‘Traditional/ Performance Contract’ package attracts a variable fee between 1.0% – 3.0% plus VAT. This is a standard High Estate Agent product. Created to deliver a tried and tested approach to selling homes of a higher value. The advert will run for 90 days and can be upgraded at anytime. There is nothing to pay upfront. We cover you for photography, floor plans, Energy Performance Certificate, featured & premium Rightmove marketing, newspaper marketing and facilitated block viewings. Definition: A sale is the proceeding of a third party with a purchase of the instructed property in question which was subject to the involvement of loveyourpostcode.com in any way. A viewing appointment, whether actually carried out or not, a negotiated offer or an involvement by way of loveyourpostcode.com substantive communication with the party that subsequently purchased, will be deemed as ‘involvement’. Merely providing a set of details will not be constituted as substantive communication however a regular contact over the same property would be. The selling/letting customer will verify information displayed by Love Your Postcode Limited in relation to their property and will advise Love Your Postcode of any inaccuracies. Any material changes which may affect a property’s description post instruction must be informed to Love Your Postcode by the selling customer. Love Your Postcode Limited online estate agents comply with the Consumer Protection Regulations 2008. An Energy Performance Certificate is a legal requirement in England and Wales and must be in place and displayed with the ad listing within 7 days of the ad being published. A Home Report is a legal requirement in Scotland and is the responsibility of the selling client to have in place before a property can be advertised for sale. Love Your Postcode Limited will offer its selling, buying and letting clients and prospective purchasers and tenants additional services via our partners such as mortgages, insurances, pensions, low cost conveyancing, utility switching and other products from which Love Your Postcode Limited may derive commission. Conveyancing work is carried out by carefully selected third party conveyancing partners but to which Love Your Postcode Limited have no financial stake and thus no liability is accepted on our part in respect of these third parties. Our low cost conveyancing deal at £500.00 exc VAT upon completion applies to freehold property sales and, separately, to freehold purchases and is dependent upon securing this offer by way of initial, up front premium part-payment of £150.00 exc VAT at the time that instructions are received to sell the client’s property. Otherwise our standard fee applies to freehold sales and purchases plus disbursements. The £150 exc VAT premium is not refundable under any circumstances. Disbursement costs are payable additionally. A leasehold supplement applies at £225.00 exc VAT per transaction. Deal applies to sales and purchases to a value of £500,000. A supplement of £150.00 exc VAT applies thereafter. Please note, discounted conveyancing is only available for properties in England and Wales. Information held on our website and elsewhere is intended for your general information and, as such, should only be treated as a guide. Love Your Postcode Limited, ‘the company’, has used all reasonable endeavours to ensure the accuracy and completeness of its website. It cannot give any representations, assurances, undertakings or warranties about the accuracy, correctness or fitness for purpose regarding the site or any website referred to by it (‘third party site’). Love Your Postcode Limited does not approve or endorse any information contained on any third party site and accepts no responsibility for this information or its content. Love Your Postcode Limited therefore accepts no liability in connection with any information held on a third party site. The contents of the company’s website and its hard copy documentation are the copyright of the company. You may make copies for your personal use only. You are not allowed to copy and distribute its contents in any way without the prior consent of the company. You should seek appropriate professional advice before taken any action based on any information held on this site. Love Your Postcode Limited cannot be held responsible for content on third party portal sites. The websites that we display as partner sites are representative only and may change from time to time at the behest of others. Fee comparisons and statements made by Love Your Postcode Limited relating to fee savings compared to other/traditional/high street estate agents are formulated using average house price data from sources such as HM Land Registry; the Halifax; WHICH?, the Nationwide and our own records and calculated using typical, accepted alternative estate agency fee costs as published by sources including the Halifax and the Office of Fair Trading (2010 report) from time to time. loveyourpostcode.com does not store credit or debit card details of any kind. If your payment is refused, the application will display a screen informing you of this. Remember – it is not the company that is refusing your card payment – it is the card issuing bank that is refusing to authorise the payment. If this occurs you will need to contact your card company to discuss the reasons for the refusal. Where an overpayment occurs a refund will be issued following a request. Where overpayment was initially made by debit/credit card, refunds shall normally be made by bank transfer. Where a payment by any means has been made to the company that payment is final and no refunds will be due. The company instigates various costs at the outset of a property being instructed to it and thus refunds will not be entertained where a customer changes their mind or is subject to a change of circumstances notwithstanding prevailing legislation including the Consumer Protection Regulations 2000 whereby commencement of performance of the contract is deemed to take place at the point that our assessors are instructed. In the event that a customer cancels within 14 days of payment but before 24 hours prior to the assessor home visit, a refund will be made assuming that no costs have been incurred by loveyourpostcode.com. By proceeding with payment you accept that you have given loveyourpostcode.com express consent to incur immediate costs however. The company provides a secure online payments facility, fully managed to Level 1 approval in line with the Payment Card Industry (PCI) requirements. Once you click on the link to make a payment you will be re-directed to a fully hosted secure managed environment. All information that you send will be fully 128 bit encrypted. The online payment service is fully managed externally by Paypal, Braintree and the company does not hold any card details on any of its servers or within its infrastructure. The company does not have any access to your card details on the managed service. The online payments system complies with all of the security requirements of the PCI council – CV2 input, Verified by Visa, MasterCard SecureCode etc. and the company will continue to enhance the application to the highest security standards. We have a near 95% success rate for sales completing comparing to the industry average 70%. Our sales do not fall through because our clients are financially committed to completing. The commitment is calculated between 1% – 2% of the property value. In the event the sale does not complete, the commitment fee will be used to cover our administrative costs. Your privacy is very important and the company is committed to protecting your privacy online. We will only use any personal information you send us for the purposes for which you provide it or for other lawful purposes as described. We will only hold your information for as long as necessary for these purposes. All employees who have access to your personal data or are associated with the handling of that data are obliged to respect the confidentiality of your personal data. Upon request we will inform you whether personal information is stored by us. The company welcomes your feedback and comments about Love Your Postcode and its products. If you wish to supply any feedback please write in. It is a condition of PRS Scheme that we provide information relating to our complaints procedure. In the event of a complaint correspondence should be sent in writing to 86 Birmingham Street, Oldbury, West Midlands, B69 4EB or emailed to [email protected] All complaints will be acknowledged swiftly, investigated and responded to within seven working days. Love Your Postcode Limited its suppliers or other third parties mentioned on this site will not be liable for any damages arising out of the use, inability to use, or results of use of this site, any web sites linked to this site or any material or information contained on this site. Online marketing fees represent a 90 day marketing period. We always try to ensure that our website is accessible to everyone. We use independent monitors to assess our site. Our site should not present any problems as regards accessibility. If you experience technical difficulties using this web site please email us at [email protected] or by calling on 0333 344 7772. This licence to re-copy does not permit incorporation of the material or any part of it in any other work, publication, or website whether in hard copy or electronic or any other form. In particular (but without limitation) no part of Love Your Postcode website, including but not limited, to photographs, property details, virtual tours and/or floor plans may be distributed or copied for any commercial purpose. You may not frame this website without the express consent of Love Your Postcode.  The Love Your Postcode logo is a trade mark registered in the name of Love Your Postcode in the UK and other parts of the world. Reproduction of this trade mark other than in order to view this website is prohibited. Love Your Postcode takes all reasonable care to ensure that the information contained on this website is accurate, however, we cannot guarantee its accuracy and we reserve the right to change the information on this website (including these terms and conditions) at any time. You must therefore check these terms and conditions for any such changes each time you visit this website. Love Your Postcode makes no representations or warranties of any kind with respect to this website or the content contained on it, including any text, graphics, advertisements, links or other items. Furthermore, neither Love Your Postcode nor any other contributor to this website make any representation or gives any warranty, condition, undertaking or term either expressed or implied as to the condition, quality, performance, accuracy, fitness for purpose, completeness or freedom from viruses of the content contained on this website or that such content will be accurate, up to date, uninterrupted or error free. Nothing on this website shall be regarded or taken as financial advice. Love Your Postcode respect and value the security and privacy of those of its contacts. Love Your Postcode follows strict security procedures in the storage and disclosure of personal information in order to prevent unauthorised access. Personal Data is held on our contacts and administration database either because of work we have undertaken or are currently engaged in, or because we believe that clients may be interested in receiving material from us about our business and services. As such we hold client contact details and the history of our client relationship. This allows us to manage our client relationships effectively and target items of interest so that you do not receive unwanted material through the post. In accordance with your rights under the Act, you may request the amendment of the personal information held or to cease receiving direct marketing materials. Love Your Postcode does not sell, rent or deal in the personal information we hold. Information may, in the ordinary course of business, move between Love Your Postcode its associated companies and to our contractors, which may involve the transfer of data outside the European Economic Area. Certain devices can detect your approximate location, via latitude and longitude. The accuracy of this data is not in the control of Love Your Postcode. If this feature is requested, Love Your Postcode will prompt you to provide your permission to access your location data for the purposes of providing you with results or directions based on your current location. You can disable location settings within your browser or app. 1. Providing a rental valuation & advising you on compliance with the various safety regulations. 2. Locating suitable long term professional working class families. Your property will be advertised if necessary; however we generally have excellent contacts with various HR departments and often have clients waiting for great homes in good postcodes. 3. Where possible or requested accompanying tenant applicants to view the property. 4. Obtaining and evaluating references and credit checks. 5. Preparing a suitable tenancy agreement and arranging signature by tenant/s. 6. Providing only vetted club members’ with homes. All properties are guaranteed to the equivalent of one month’s rent by the management. 7. Preparing a professional photographic inventory and schedule of condition. 8. Checking the tenant into the property and agreeing the inventory. 9. Supervising the transfer of gas, electricity and council tax accounts into the tenant’s name. 10. Receiving rental payments monthly on the agreed date and forwarding the agreed amount within 7 days of receipt. Account statements are available upon demand via email. 11. If required, paying regular outgoings for you from rental payments. 12. Inspecting the property periodically, and reporting any problems to you. 13. Arranging any necessary repairs or maintenance. Liaising with you in the case of larger works over £250.00. 14. Keeping in touch with the tenant on a routine basis, and arranging renewals of the agreement as necessary. 15. Checking tenants out as required, re-letting and continuing the process with the minimum of vacant periods to ensure that you receive the optimum return from your property. This will be done automatically without consent unless otherwise specified. Your property can be let fully furnished, part furnished or unfurnished. Which of these is appropriate, will depend on the type of property and local market conditions. We will be pleased to give you advice on whether to furnish or not and to what level. As a minimum you will need to provide decent quality carpets, curtains and light fittings. Remember that there will be wear and tear on the property and any items provided. If you are a leaseholder, you should check the terms of your lease, and obtain any necessary written consent before letting out you property. The Tenant is responsible for arranging of the transfer of Council Tax and utility accounts to themselves. Meter readings will be taken by our office at the check in and check out stage, allowing your closing gas and electricity accounts to be drawn up. You hereby consent Love Your Postcode to display photographs of you and/or your property on our social media channels. Most tenancies will automatically be Assured Shorthold Tenancies (ASTs), provided the rent is under £25,000 a year and the property is let to private individuals. Tenancies are usually granted for an initial fixed term of 12 months with a 6 month break clause. When the fixed term has expired the landlord is able to regain possession of the property provided he gives two months written notice to the tenant. In addition, if the tenant owes at least 2 months or 8 weeks rent on the property he can apply through the court to seek a possession order. Annual safety check: Under the Gas Safety (Installation and Use) Regulations 1998 all gas appliances and flues in rented accommodation must be checked for safety within 12 months of being installed, and thereafter at least every 12 months by a competent engineer (e.g. a GAS SAFE registered gas installer). There is a duty to ensure that all gas appliances, flues and associated pipe work are maintained in a safe condition at all times. Records: Full records must be kept for at least 2 years of the inspections of each appliance and flue, of any defects found and of any remedial action taken. Property maintenance and management issues will be handled by our specially trained in house teams. A dedicated 24/7 telephone care line system will deal with all issues up to a cost of £250.00. Beyond this amount we will contact the owner for approval of works, unless we consider the matter to be an emergency. There are several regulations relating to electrical installations, equipment and appliance safety, and these affect landlords and their agents in that they are ‘supplying in the course of business’. They include the Electrical Equipment (Safety) Regulations 1994, the Plugs and Sockets Regulations 1994, the 2005 Building Regulation – ‘Part P, and British Standard BS1363 relating to plugs and sockets. Although with tenanted property there is currently no legal requirement for an electrical safety certificate (except in the case of all HMOs) it is now widely accepted in the letting industry that the only safe way to ensure safety, and to avoid the risk of being accused of neglecting your ‘duty of care’, or even of manslaughter is to arrange such an inspection and certificate. Is your property a House of Multiple Occupation (HMO)? We have over 3,000 private club members and property investors working with us. Our membership cover is a standard policy for all old, new and renewing polices. Providing free cover for up to £2,000.00 against rental default on managed properties. This will not cover any damage of the property but only cover for short fall in rent. This bespoke product is hassle free and provides maximum protection. An administration/ excess fee of £200 applies for a claim against any of our membership products. The Membership product will be void against any cover or claim if you have failed to uphold your duties or landlord obligations. The DDA 2005 addresses the limitations of current legislation by extending disabled people’s rights in respect of premises that are let or to be let, and common hold premises. Landlords and managers of let premises and premises that are to let will be required to make reasonable adjustments for disabled people. Under the new duties, provided certain conditions are met (for example, that a request has been made), landlords and managers of premises which are to let, or of premises which have already been let, must make reasonable adjustments. From 1st October 2008 landlords in England and Wales offering property for rent will be required by law to provide prospective tenants with an Energy Performance Certificate for their property. In Scotland EPCs for rental properties will be required by January 2009. The certificates must be provided free either when (or before) any written information about the property is provided to prospective tenants or a viewing is conducted. A new certificate will not be required on each let since, in the case of rental property, EPCs will be valid for 10 years. The requirement is being introduced to comply with the EU’s Energy Performance of Buildings Directive (EPBD) which applies to all property, including rented property. We are able to suggest a variety of insurance policies for both landlords and tenants. Where the property is let unfurnished limited contents cover is available to be purchased by a third party insurer; this generally provides cover for the following items: Carpets, Curtains, Sun Blinds, Light Fixtures & Fittings, and Kitchen White Goods. Cover can be on a new for old basis and also includes landlord’s liability. up to a given percentage of the sum insured following damage. This can also include landlord’s liability. This added extra policy provides total peace of mind for landlords. Cover includes the rent you are expecting from your property until vacant possession is obtained for up to 6 months. Our group is registered with the Property Redress Scheme; our membership number is PRS007658. In the event that management of the property is taken off our group by mutual consent, a fee of 3 x monthly rental income will become payable. Our invoice must be settled within 14 days. In the event that a property is sold to a tenant introduced by our group we will charge a sales fee of 2.50% plus VAT. Our club members, corporate clients, club tenants may be upgraded to different packages and be allocated differed account managers, offered insurance products, British Gas cover, payment protection and fast maintenance response services. You as a client can also request for upgrades but they need to have both tenant and account manager approval and can take up to 30 days to implement. Our monthly property management/ services charge is variable and dependant upon the package offered and accepted. You have the right to cancel our agency agreement within 14 calendar days from when you received this notice of your right to cancel (“the Cooling Off Period”) subject to our group having not incurred any costs in finding a tenant. This right maybe exercised by delivering or sending (including by electronic mail to [email protected]) a cancellation notice to the name and address stated below within the Cooling Off Period. The notice of cancellation is deemed as served as soon as it is sent. Although you are not obliged to state the reason (and this will NOT affect your statutory rights), we request that you state the reason or reasons for cancelling the contract(s). Should you wish to cancel your contract within your your sole agency period, you must provide 30 days cancellation notice by email to [email protected] Once we are in receipt of your notice of cancellation, your property will then be withdrawn within 28 days. We hope everything will run smoothly, but in the event it does not, you may contact the Chief Executive Mrs Catalina Lopez.